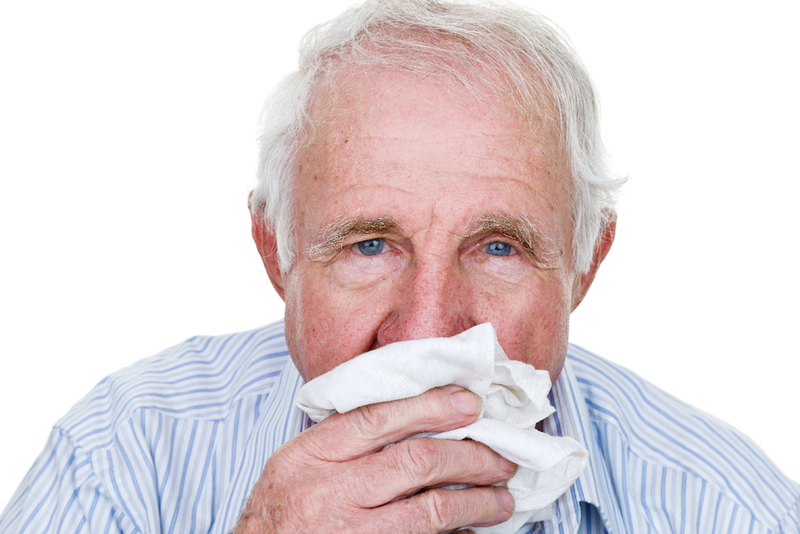 Rhinitis may be allergic, or non-allergic. In the former, IgE mediated mechanisms are implicated, and evidence of allergen sensitization is detectable. In non-allergic rhinitis, IgE related mechanisms as not involved, and pathogenesis may relate to a variety of factors, including vasomotor irritants, medication and even pregnancy. The prevalence of allergic rhinitis in the Australian community is 17% (AIHW 2011). The prevalence of allergic rhinitis is increased in asthma and severe asthma. In an Australian difficult asthma cohort, 80% of whom had severe asthma, the prevalence of allergic rhinitis was 44% (Radhakrishna et al. 2016). In the Unbiased BIOmarkers in PREDiction of respiratory disease outcomes (U-BIOPRED) cohort, 60% of people with non-severe and 55% of people with severe asthma had allergic rhinitis (Shaw et al. 2015). Eleven percent of people with non-severe and 15% of people with severe asthma had non-allergic rhinitis. Upper and lower airway dysfunction often coexist, giving rise to the ‘united airways’ hypothesis (Cirillo et al. 2009). It is possible to induce allergic nasal inflammation with a segmental bronchial challenge with grass pollen allergen (Braunstahl et al. 2000), and nasal provocation with grass pollen allergen triggers allergic bronchial inflammation (Braunstahl et al. 2001). The presence of non-allergic rhinitis also increases the risk for asthma (Leynaert et al. 1999). Asthma patients with rhinitis do not have more frequent exacerbations (Dixon et al. 2009, Ohta et al. 2011, Powell et al. 2015), but they do have poorer symptom control and quality of life (Larsson et al. 2007, Vandenplas et al. 2010, Powell et al. 2015). Rhinitis duration and severity, and sensitization to perennial, as opposed to seasonal, allergens are associated with greater airways dysfunction and more severe asthma (Ciprandi et al. 2008a, Ciprandi et al. 2008b, Cirillo et al. 2009, Antonicelli et al. 2013). Allergic and non-allergic rhinitis are risk factors for obstructive sleep apnoea (Kalpaklioglu et al. 2009, Braido et al. 2014), probably through increased nasal obstruction (Young et al. 2001, McNicholas 2008). Intranasal corticosteroids for rhinitis improve asthma symptoms in those with both conditions. However, in patients already on inhaled corticosteroids, there does not appear to be additional improvement in asthma control with the use of intranasal corticosteroids (Brozek et al. 2010, Nair et al. 2010). Allergen-specific immunotherapy is effective for allergic rhinitis (Brozek et al. 2010) and also improves asthma symptoms and reduces bronchial hyperresponsiveness in patients with asthma (Abramson et al. 2010). However, uncontrolled asthma is a contraindication for immunotherapy as it may increase the risk of systemic adverse reactions (Pitsios et al. 2015). Sublingual immunotherapy (SLIT) has fewer systemic adverse effects (Lin et al. 2013), and has also been shown to provide asthma control in the context of inhaled corticosteroid withdrawal (Virchow et al. 2016). The utility of immunotherapy in patients with rhinitis and severe asthma has not been specifically examined. The evaluation of allergic rhinitis is described in the Diagnosis & Assessment section.